Is Social Media Advertising Right for You? With the vast amount of people on various social media platforms, it’s hard to dispute maintaining an organic presence benefits your company’s branding. Hype spreads so much through word-of-mouth, public figures, and digital marketing agencies, that it’s seen as the “go-to” online paid advertising platform. While this claim appears to have a sound argument, it’s backed with little logical reasoning as to why you should run paid advertising campaigns on social media, other than it being a high traffic area. Who Benefits Most from Social Media Advertising? You’ve had a stressful day at work; you start your lunch break, pull out your phone, and go on a social media platform. What is it that you’re looking for? Are you looking for products or services you need? The answer is typically no. 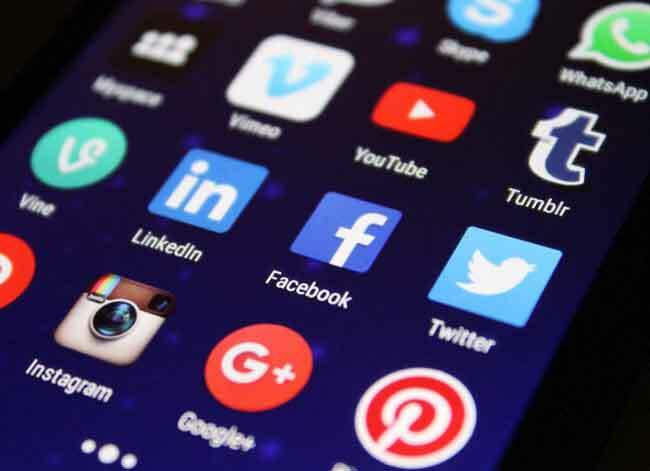 Our primary motives for social media is to connect with others, share content, or be entertained. Because of this, social media ad campaigns for certain companies don’t provide value, as it’s difficult to entertain people with shareable content that translates into leads or sales. Rather than provide value, the advertisement(s) from these companies interrupt the user from the experience they’re looking for by being on social media. This will hurt the ad’s relevance score, organic reach, click-through-rate, and many other factors that contribute to an effective social media ad campaign. Furthermore, social media platforms aren’t search engines which limits their capacity for targeting effectively. The biggest limitation in targeting is you can’t target keywords of people who are actively searching for your products and/or services. You can only target people based on their interests, demographics, and behaviors. Wouldn’t it be better to target people who are actively searching for the products and/or services you provide equating to higher quality impressions and clicks? For most companies the answer is yes. For whom are social media ads a good fit? People and businesses that have products and/or services which are useful in day-to-day life, target a specific niche’, or have entertainment value. Examples would be drone racing products which target a very niche’ audience, funny cat shirts that incentivize people to share or tag friends due to their entertainment value, and local restaurants offering discounted dining as something people need daily. Social media ad campaigns can be great for these companies. When run effectively for the type of business, the cost-per-acquisition rate is relatively cheap in comparison to other paid advertising platforms. If your product and/or service isn’t entertaining, niche’, nor needed in day-to-day lives, then social media is likely not the “go-to” paid advertising platform for you. Rather than paying for impressions and targeting based on interests, it’d be better if you were targeting people who are actively searching for what you offer. This is commonly referred to as “search intent.” A plumber can pay to reach 10,000 people on social media, but what are the odds he will reach one person who happens to need a plumber at that instant? How are his ads supposed to provide entertainment value incentivizing people to share or tag friends? He would be better off targeting people who search various match type keywords on search engines, such as, “plumber near me” on Google within the areas they service. Luckily, Facebook has addressed this concern with re-targeting methods that other social media platforms lack. With pixel retargeting you can target people who’ve visited your website but didn’t opt-in. To an extent, this is where Search Engine Marketing (SEM) meets social media marketing. If someone searched “plumber near me” and clicked on your website because of your organic or paid ranking but didn’t opt-in, you can target them with a Facebook ad the next day. Businesses that require search intent should never stray away from this targeting method if they decide to utilize social media marketing. If you're interested in a social media ad campaign run by professionals who use advanced retargeting methods, contact Code Authority.